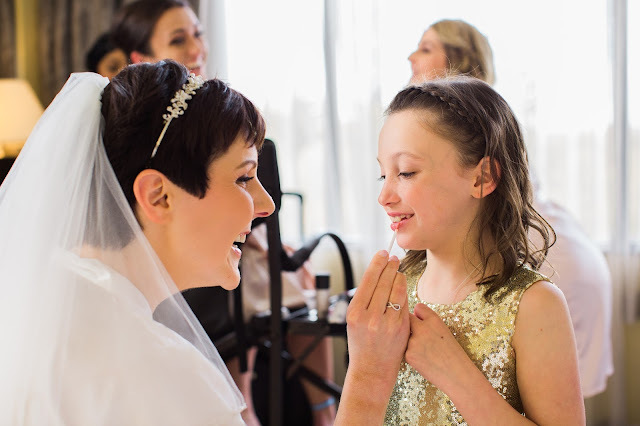 Meet Amy, a strong, sweet, and lovely bride who I had the honor of working with recently. Being a makeup artist totally has its perks! Not only do I get to make people feel and look beautiful, but I get to meet some great people along the way. 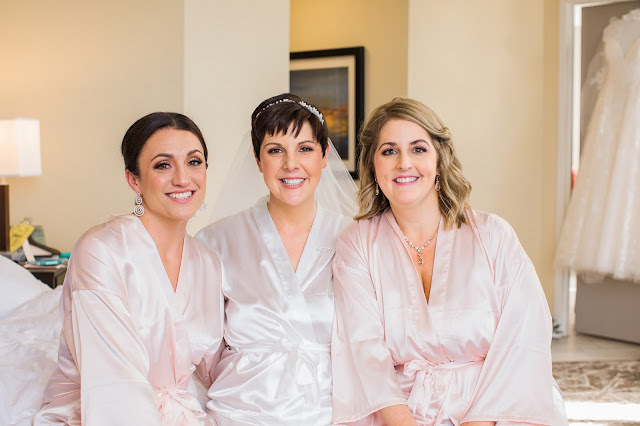 It's always fun meeting and getting to know new brides and their bridal party. 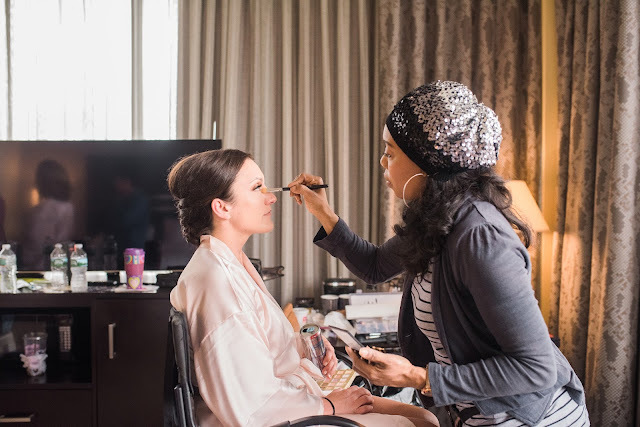 I love when everyone gathers together in a room for hair and makeup applications - the love, laughter, and energy flooding the room at a time like this is so exciting. 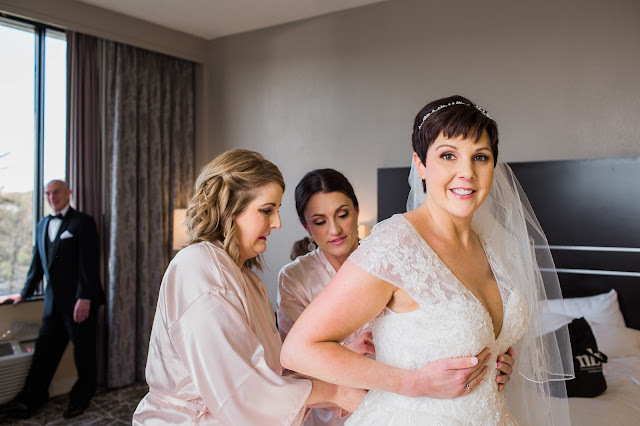 A lot of times while I'm applying makeup on the bridal party, we will all chat about the big day ahead, making sure everyone knows what to do and where do be. Sometimes, we are doing so much talking about the day that we lose sight of what's actually happening in that moment. It's human nature to get caught up in something and not take the time to stop and appreciate the beauty all around you. So, with that being said, I thought I would approach this blog in a different way. I decided to ask Amy some questions about her wedding day so that all of you, Amy, and I can relive it together! 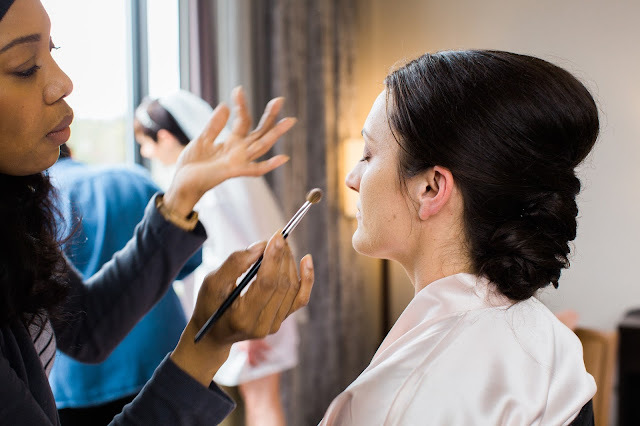 A: I loved how much natural light there was and the fact that we were all able to talk and laugh while we were all getting ready. You were amazing at just fitting right in! You came in and although you were ready for business you were so patient with all of our talking and moving around. Q: The actual ceremony-did you cry, why? Did the makeup hold up? A: The ceremony was very emotional for me, Chris and I had been through so much leading up to the wedding so the ceremony was just a dream come true that made everything so real, it was amazing! One of my favorite pictures is of him waiting to see me for the first time and his face breaking into a huge smile as soon as he did. 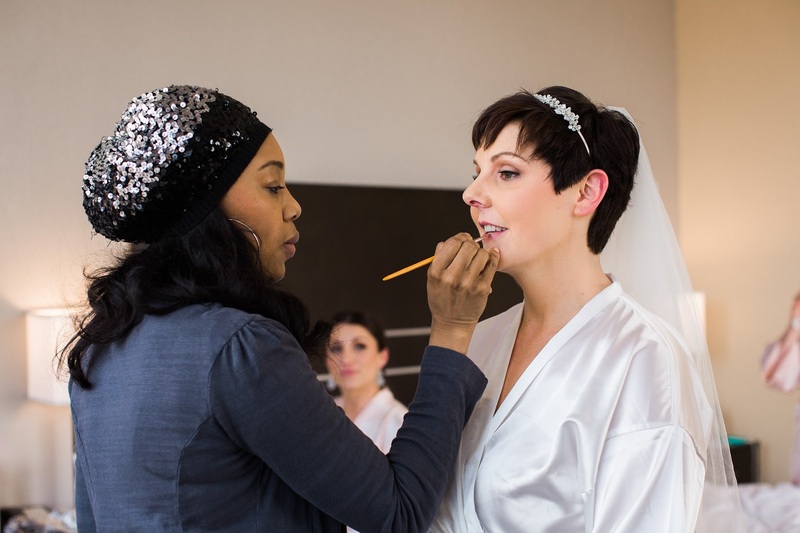 After losing my hair during chemo I was very nervous about not looking beautiful on our wedding day but your ability to accentuate a person’s beauty with make up is absolutely amazing! Not only did my makeup withstand the test of tears, it amazed me with it’s staying power for the reception! Looking back at pictures I was pleasantly surprised at how great my makeup still looked after hours of hugging, kisses & lots of dancing!!! Q: I know you're a cancer survivor. Do you mind if I share that in my blog? A: I do not mind at all! 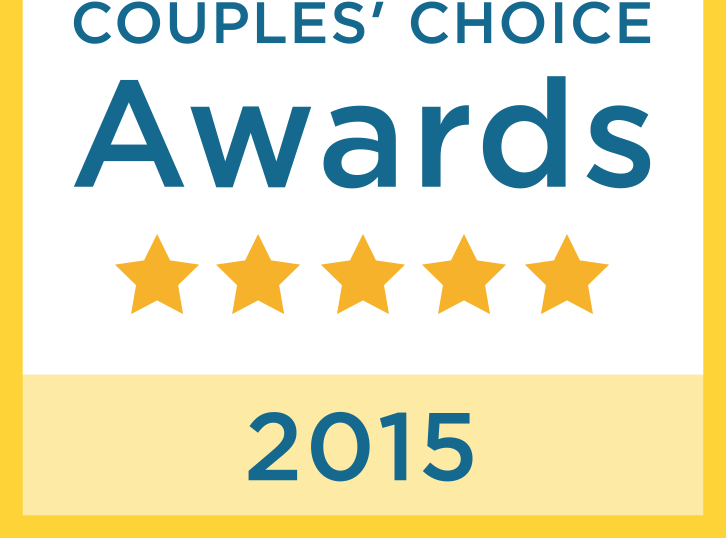 A: Just what an absolute pleasure it was working with you & to thank you for all your hard work! You came early and managed to do a fantastic job on all 5 of us. You were meticulous, I don’t think you took a break and you stayed after we left to make sure the hotel room was cleaned up. One of the bests things was having my mother-in-law’s make-up done, she looked gorgeous and my father-in-law’s reaction when he saw her was priceless! 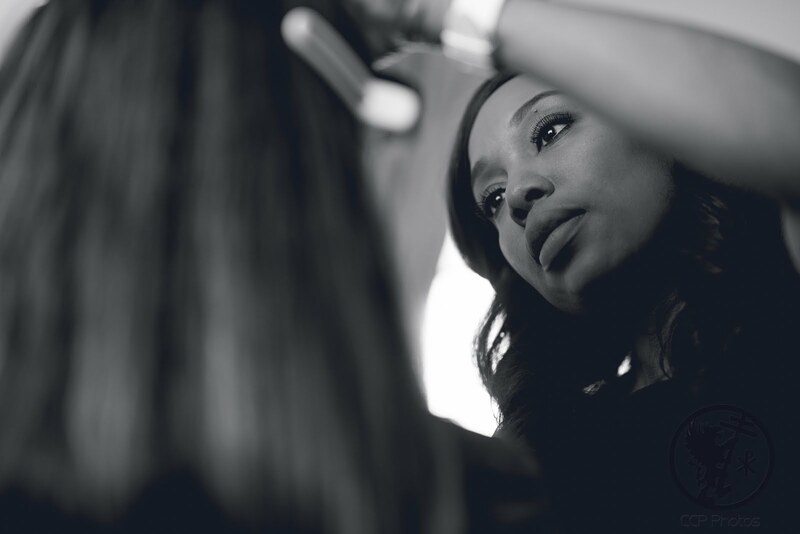 Helping people feel beautiful is a wonderful thing and you are so good at it! 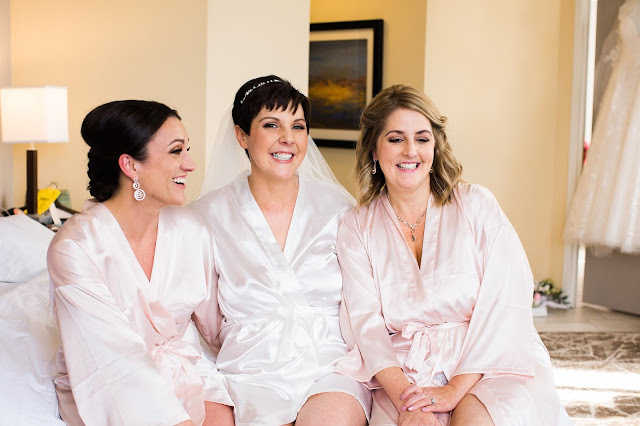 I hope you all enjoyed reading about Amy's big day, and next time you find yourself in a bridal party, or as a wedding guest, or maybe even the bride yourself, try to remember to take a minute to pause, take a breath, and relish in all the love and happiness around you.